What do Cliff Huxtable and Jim Anderson have in common? 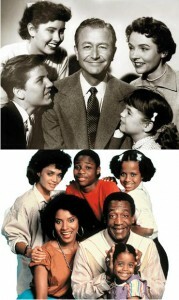 Both were TV dads on top running programs representing an idealized version of American family life during their era. Jim Anderson played by Robert Young in Father Knows Best provided a consistent presence and thoughtful advice to his children as they confronted the daily dilemmas of growing up. Cliff Huxtable, played by Bill Cosby was much more of a humorous character, often getting involved in silly situations, which at times cause us to question his judgment. Both were excellent, loving fathers who work in partnership with their wives, but clearly the “power” in the Huxtables resides with Claire, the mom, as it does with most other 1980s/90s sitcoms, such as Rosanne, Home Improvement, Everybody Loves Raymond, etc. On Weds August 31, I had the opportunity to speak to the Great Neck Rotary Club about the Changing Role of Dads using sitcoms as a good jumping off point. It’s remarkable how significantly gender roles have shifted in the span of two generations. While we often look at women’s increased job opportunities and the difficulties they encounter balancing commitments of both work and home life, men have also had to make significant adjustments. Along with the benefit of new freedoms in expression, there is a loss of power and greater uncertainty about how they are expected to perform traditional male roles. Coping with these ambiguities and changing expectations has been a difficult adjustment for many men to make. Although my talk had a sociological focus, it is as a therapist that I see ramifications. Many families experience conflict reconciling traditional ideas of household rules, discipline and gender roles with current societal pressures and emerging cultural norms. Parents have to figure out what works in their own lives and develop a partnership based on their specific beliefs and circumstances. Not an easy journey, and the maps are out dated. You’ll find allies and resources on the way but you’ve got to find your own route. Special thanks to Great Neck Rotary Club for hosting this presentation. Meetings are held weekly on Weds 8:00 – 9:15 AM at the Inn at Great Neck, 30 Cuttermill Road. For information contact Phil Raices 2011 club president at housebroker1@gmail.com. 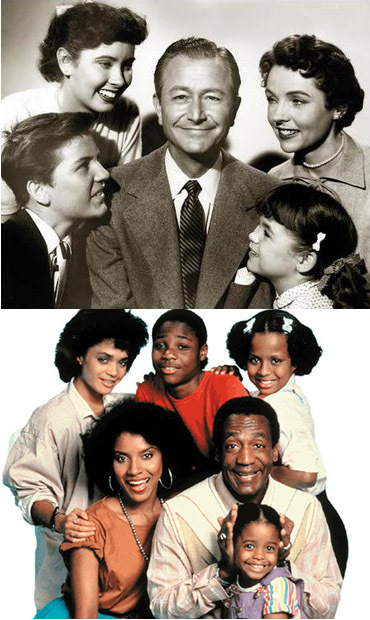 This entry was posted in Fatherhood, Parenting and tagged Bill Cosby, Cliff Huxtable, Father Knows Best, Great Neck Rotary Club, Jim Anderson, Robert Young. Bookmark the permalink.